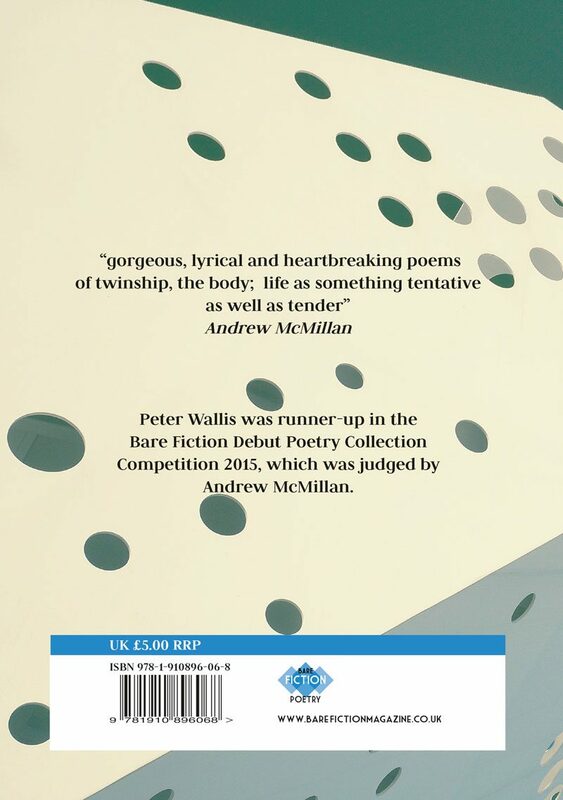 Peter Wallis was one of our two runners-up in the Bare Fiction Debut Poetry Collection Competition 2015, as judged by award winning poet Andrew McMillan. I’m delighted to be publishing Peter’s first pamphlet. 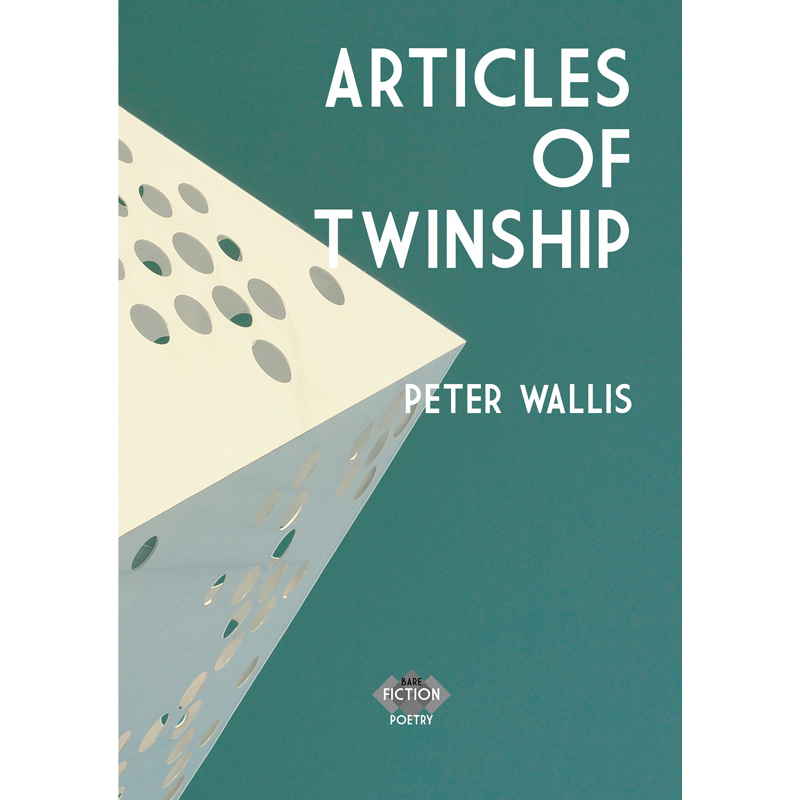 You can now pre-order Articles of Twinship right here on our online store. 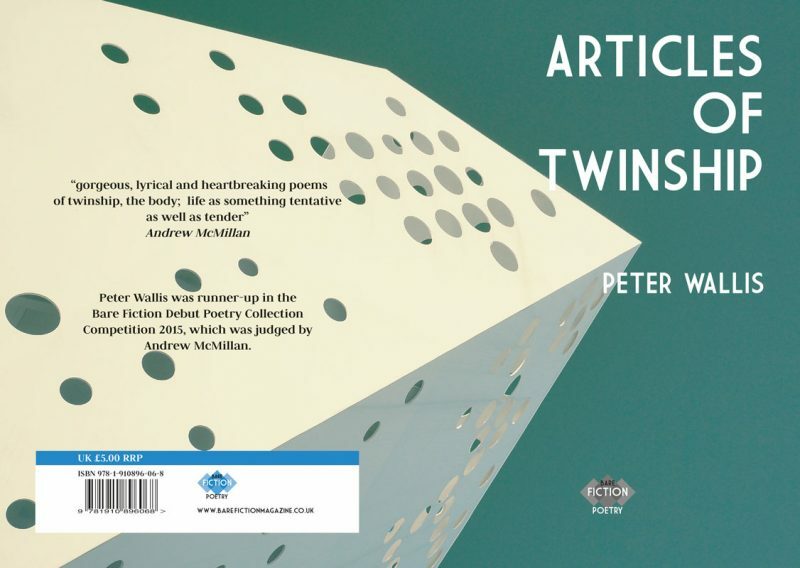 A former Eastern Arts Association Visiting Writer, and Primary School ‘Poet in Residence’, his poems have been published in the UK, Germany and New Zealand. He is three times winner of the Thetford Open Poetry Competition and has either won or been second in other competitions including the Scottish International, Capricorn International, and Norwich Open. 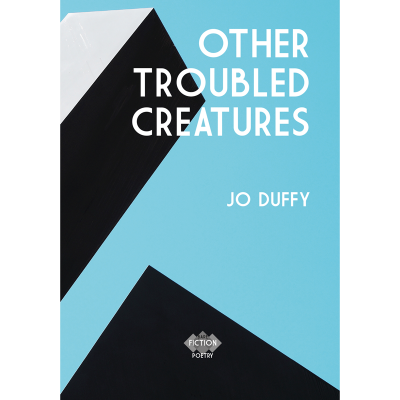 He has read his work at The Poetry Society, and on Radio 4’s Poetry Please, and has been widely published in magazines. 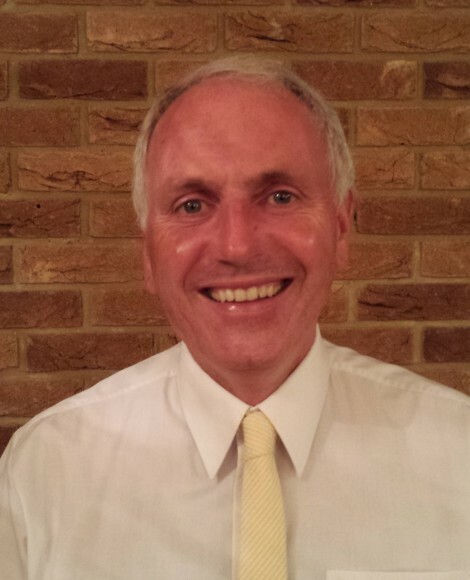 He is Submissions Editor for the charity “Poems in the Waiting Room”, which produces Britain’s widest circulating poetry periodical. as we do, third/fourth in the family ranking. four fingers of grey water in age order. saving on the use of cheap shampoo. it means these whole four inches of the cooling war. Peter Wallis, from his new pamphlet ‘Articles of Twinship’.